Tired of spending hours in Lightroom for those perfect vintage style photography? Transform those mundane photographs into magnificent ones by applying these presets. Out of hundreds of Lightroom presets available online, choosing the right one that gives the perfect feel to your pictures can be quite overwhelming. This Lightroom presets bundle for vintage style photography is an astute collection of selective premium presets to end up your never-ending hunt. It has been created especially for professional photographers and graphic designers along with other enthusiasts. These gorgeous preset provide beautiful and unique effects to their wedding, fashion, portrait and family images. You can use these presets for your personal & commercial projects. 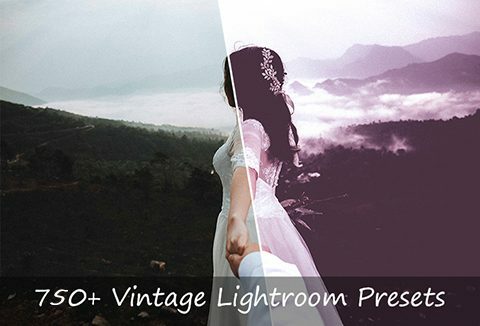 Add a nice finishing touch to your photos with these amazing Lightroom Presets for vintage style photography. DealClub Members Get It For $9 Only!